AFO RADIO - "JAC Redefine" MPIRE JAC SDN BHD The new distributor in Malaysia and introducing 3 exciting Model to Malaysia. "JAC Redefine" MPIRE JAC SDN BHD The new distributor in Malaysia and introducing 3 exciting Model to Malaysia. "JAC Redefine" MPIRE JAC SDN BHD The new distributor in Malaysia and introducing 3 exciting Model to Malaysia. After 50 year's in the industry JAC has achieved an annual production capacity up to 1,000,000 units and engine annual capacity of more than 500,000 units and has been listed in the Shanghai Stock Exchange (600418) in 2001. By now, JAC has Exported products to the region of South America, Europe, Africa, Asia and established friendly relationship with more than 130 countries around the world. 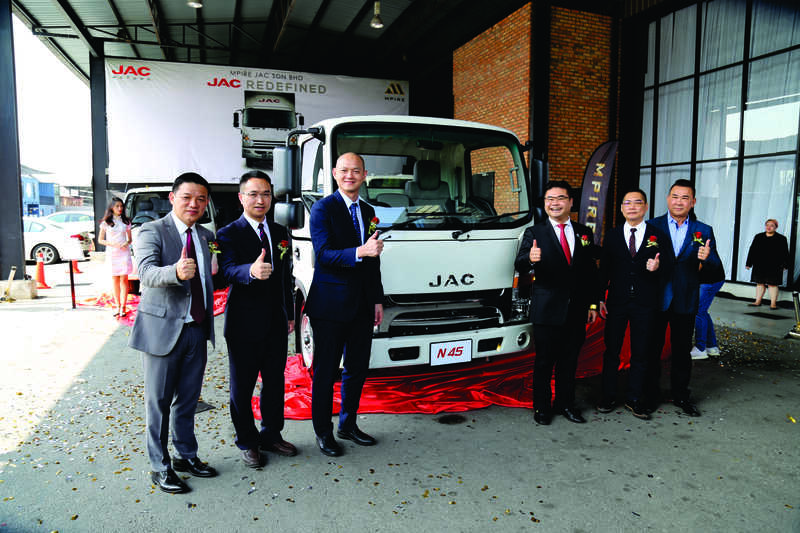 JAC focuses on commercial vehicle manufacturing to consolidate and develop its leading position in various commercial vehicle market. JAC is dedicated to developing and producing safe, environment friendly, economical and energy-saving vehicle on the basis of sustaned brand progress and cost improvement.